Pole - For every $1000 donated to fight ACPMP, Aly's son, Casey pledges to XC ski 1 mile. Peddle - For every $1500 donated to fight ACPMP, Casey or Peyton will bike 5 miles. Paddle - For every $2000 raised, Peyton will paddle 2 miles on flat water. Posts to the Blog tab will document how pledges were fulfilled. Each of these activities, naturally, is designed to fortify/sustain strong mental and physical health. 100% of donations go directly to the ACPMP Foundation. Please consider using the #DoGood hashtag on social media posts after donating. Maybe you have landed here because you know my family's story already, and you are wondering how Aly and Casey and I are doing. Or maybe you don't know us at all, but you, too, want to make a difference in the lives of those suffering from this rare cancer known mostly by it's acronym as "AC/PMP" (Appendix Cancer/Pseudomyxoma Peritonei). Either way, thank you for taking the time out of your day to consider any size donation, 100% of which will go directly to the ACPMP Foundation to support R&D and fight this terrible illness. This fundraiser exists to give hope and support to my wife, Aly, and to all those suffering from PMP. Selfishly, it also exists to give my own life broader meaning, as well. I want to make a difference. I know you do, too. The last three years have offered glimpses of sunshine when my family seems to stand in the eye of a hurricane somewhere on an island lake within a vast valley ringed on all sides by steep, frozen mountains. We know the storm has broken, but there just doesn't seem to be any safe way out, and we both know the prevailing winds tend to blow us back toward Truckee Hospital/Cancer Center. And that, to us, has become safe harbor. We know all the nurses, all the doctors, and they know us well. They take care of us. Aly says she feels "safe" there, even though we are admitted back in because her health situation is anything BUT safe. While my own struggles through this ordeal pale in comparison to Aly's, witnessing her decline after spending the last 26 years together has shaken me in ways that are difficult to articulate. I know I am not the same person I was when this journey began nine years ago on the other side of the country in an operating room in Charlottesville, VA. We have logged countless hours on the road and miles in the sky between our home of 7 years in Truckee, CA, and hospitals in San Diego, San Francisco, and Davis. I have spent too many nights to count on makeshift beds in hospitals as Aly teetered in the ICU. My aging has accelerated, the worry lines deepening around my mouth and eyes. Along the way, though, many wonderful things have happened. New friendships have been forged, old ties strengthened or renewed after a prolonged stasis. The friendships provide us both with the most emotional buoyancy, and, out of one of those friendships, grew a newfound, profound passion: paddling. A friend loaned us a kayak and paddle (thank you, Emily! ), and, living a block off of Donner Lake in the Sierra Nevada mountains, I quickly took to the water and started paddling. And I just can't get enough of it. Kind of like Dory (Finding Nemo, Finding Dory) (but with a twist on the mantra), I just keep paddling. I have adventured further afield, determined to explore as many different rivers and lakes and spend as much time on the water in as many soul-feeding settings as possible. I know it is saving me. I now spend as much of every weekend as possible paddling, my vessel of choice being my fold-up origami-style Oru Beach kayak, which never fails to start conversations with complete strangers. I have managed to paddle on five different bodies of water in 2 of the last 3 weekends while my son is home from college helping out at home with Aly. 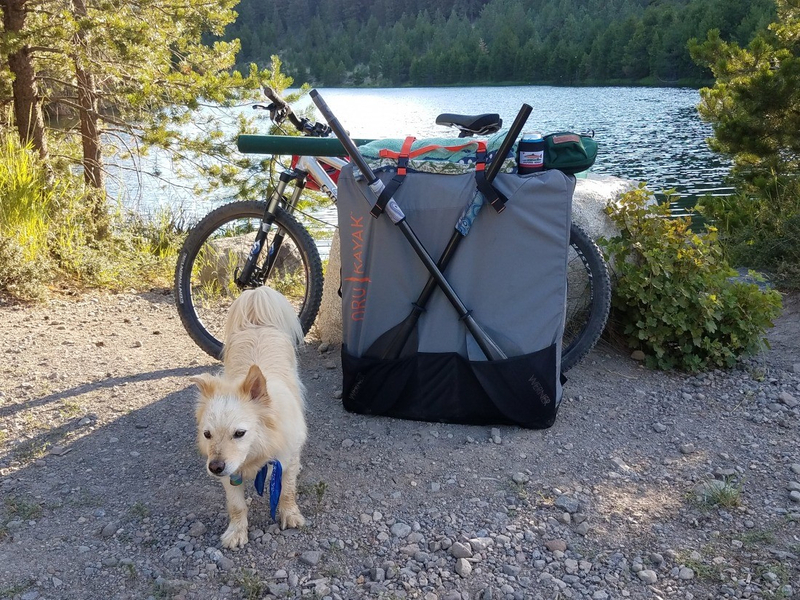 The Oru kayak folds up to fit in a backpack, and I pack it in to the many beautiful lakes in the mountains around the Truckee/Tahoe area. I would love to have the feeling while I am paddling in my Oru that - in addition to fortifying me physically and emotionally for this long struggle - every stroke of the fin is contributing in some way to fighting Aly's illness, for her and for future ACPMP sufferers. 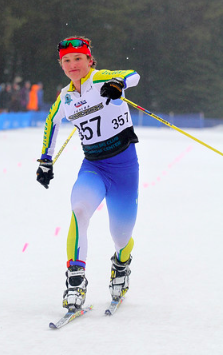 Pole - For every $1000 donated to fight ACPMP, Casey will XC ski 1 mile. 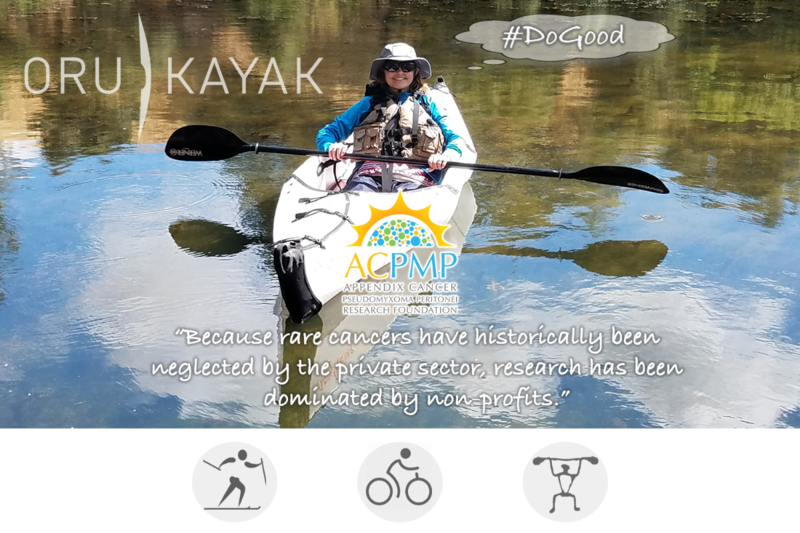 Paddle - For every $2000 donated to fight ACPMP, Peyton will paddle 2 miles. Yes, these formulas are admittedly a bit haphazard (feel free to email me your suggestions), and it is difficult to measure flat water paddling mileage, but I will document how I measured the distance in my updates to this site. Thank you for reading our story, and for donating to ACPMP today. Any amount helps. I know Aly will be heartened by your donation. Casey and I will be, as well. We appreciate your donation and will send you an email with your tax-deductible receipt shortly. Please visit https://acpmp.org/donor-confidence for more information about ACPMP.